Bracing your core is a challenge for a lot of people nowadays. The problem is with the way we breathe. 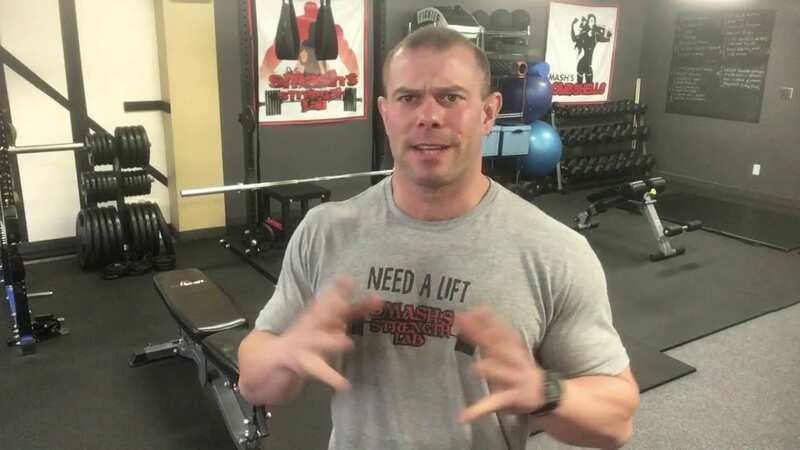 When asked to take in a normal breathe most people start that breathe in through the chest cavity, which is completely the wrong answer when it comes to setting the core muscles up for success in a lift. Think about it, when you want to "brace" or contract your core tightly to perform a heavy loaded movement you want to feel "tight" or "firm" in order to resist forces that are pushing against you or you are exerting against objects. Putting air into the chest elevates our shoulders and draws the ribs up and out. We're basically making ourselves taller. But then when you contract your abdominals, obliques and lower back muscles it collapses us back down in a forward slouching posture. Now picture that posture with a heavy weight on your back. To correct this, the first thing that you should do is put a hand on the belly and one on the chest. Now take in a deep nasal breathe into the belly. Make a big buddha belly. It's unattractive and probably not what your used to doing, so it will feel unnatural. Now with your breathe held in the lower abs, flex the abdominal cavity around the air, just like trapping the air inside a balloon. You should feel tight and in control. From this position we can properly perform loaded movements (ie. squats, deadlifts, presses, pulls, locomotion and transverse movements) easily and without risk of injury. Bracing improperly is often a risk of injury and can hurt our performance whether it's in the weight room or out in the athletic environment. After learning how to properly set your core tight with enough air trapped within the lower abdominal cavity a lifter can push against this column of air created and lift heavier and heavier loads. The tighter the brace the more loads that can be lifted. For a while, a lifter may have to practice doing this bracing technique in a slow and controlled fashion until the breathe is able to become a natural phenomenon. But eventually it will get natural and you'll learn to feel when the air isn't trapped within the lower abdominals. You'll feel less tight and the weights will feel heavier. Look at it on a scale of 1-10. If you're doing a light activity like a pushup or plank you can brace with a mild breathe and hold the abdominal, oblique and lower back muscles slightly taut to create enough tension to perform the movement, creating a bracing effect of a level 3-4. If you're doing something extremely hard and heavy like a 1-rep max deadlift then you're core needs to be braced to a level 9-10, with an oversized breathe and contracting all those muscles around the core, including the hips, glutes and lats for additional support. Alright, now let's get back to lifting with a better understanding of how to breathe correctly for lifting and set some new Personal Records. If you thought this information was valuable please pass it on and share it with your friends.